I am not a very patient person. When I want something, I kind of want it now. 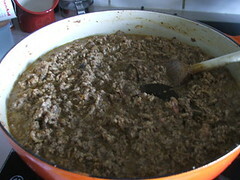 That can be a problem when what I want is bolognese sauce. 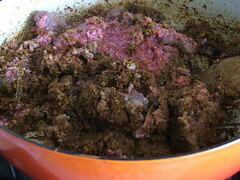 The trick to good bolognese is to take your time with each step, letting things get brown or simmer completely before moving on to the next step. 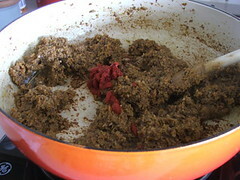 Remember, whenever you add something to your pan you are developing flavor. 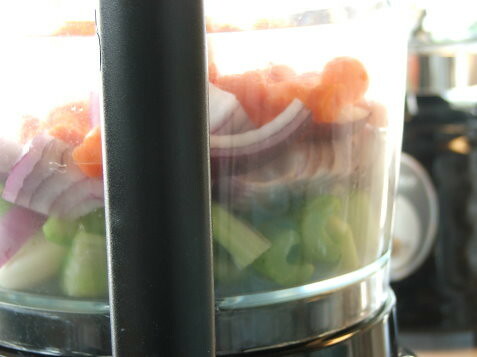 Don’t let that flavor pass you by, cook it to its full potential. You can freeze this sauce in single or double servings and it does very well for as long as a month, and I will admit to waiting as long as two months and it was really fine. Also, wine counts in this one. Don’t break the bank, but a drinkable red works well. I like Barefoot Zinfandel for this one, but that is just me. 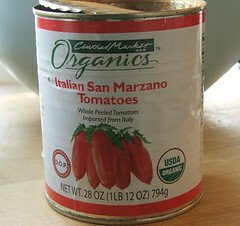 This sauce is delish in lasagna, or over some fresh pasta. 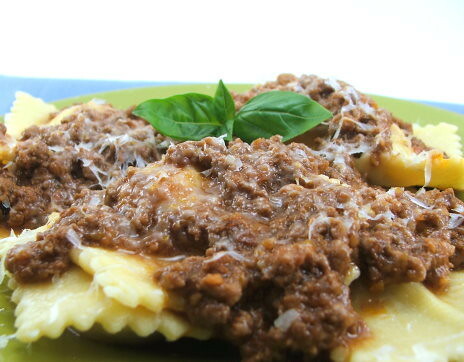 I served this over some homemade mushroom and ricotta ravioli which I will be posting next! 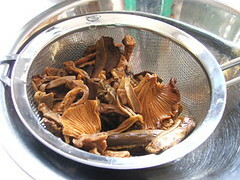 Place the cleaned mushrooms in a heat proof bowl and cover with boiling water. Let stand for twenty minutes. 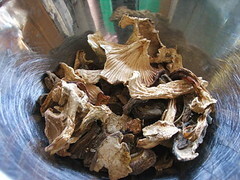 Once the mushrooms have soaked drain and chop roughly. 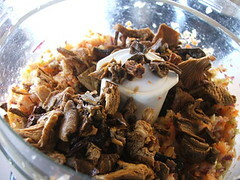 In the bowl of a food processor. 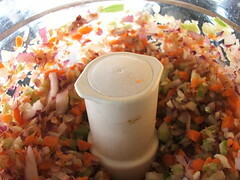 Add the onion, celery, carrots, and garlic and process until it forms a coarse paste. 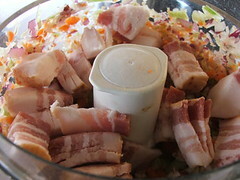 Add the bacon and process, then add the mushrooms and pulse a few times to incorporate. 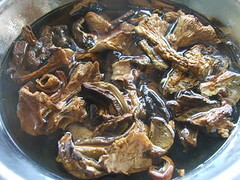 Heat the olive oil a large heavy bottom skillet or stock pot over medium heat. 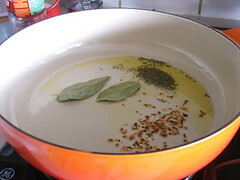 Add the oregano, red pepper flakes, and bay leaves. 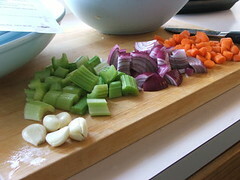 Sauté for thirty seconds before adding the vegetable paste. 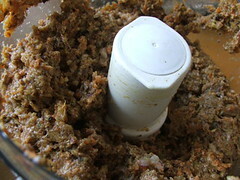 Cook the paste until it looks dry and is darker in color, about 12 to 15 minutes. 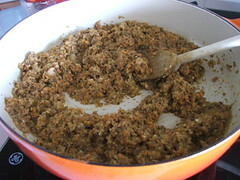 Add the tomato paste and cook for five minutes, then turn the heat up to medium-high and add the ground pork and beef. 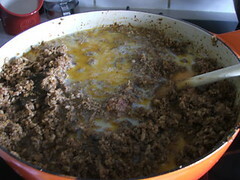 Cook until the meat is just cooked through then add the milk. 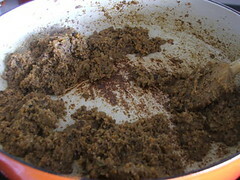 Cook, stirring often, until the liquid evaporates, about 12 minutes. Add the tomatoes, wine and season well with salt and pepper. 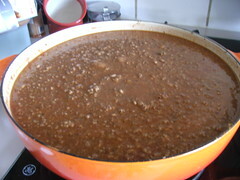 Cover the pot and simmer for 2 1/2 hours, then remove the lid and simmer for 30 minutes more, or until the sauce has thickened. 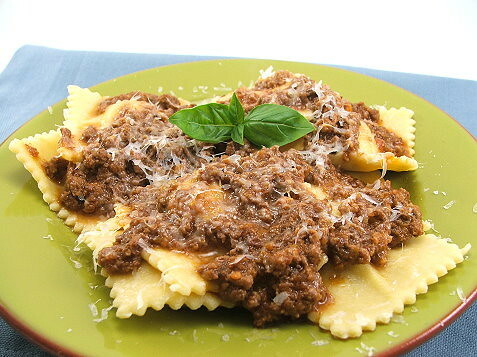 Serve over pasta, or use in lasagna.